The rose, leaf and rose bud are made from chart paper.I coloured chart paper with fabric paint to get a glossy effect.I also used 3d glitter on rose petals.I got inspiration to make rose bud from ribbon rose bud tutorial. http://what-a-beautiful-mess.blogspot.in/2010/08/ribbon-rosebud-tutorial.html. 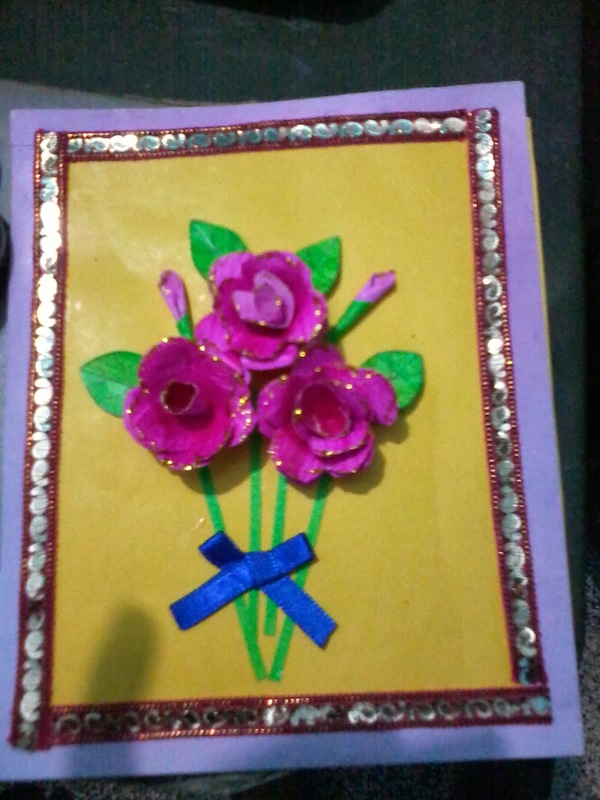 I have send this card for http://itsybitsyindia.blogspot.in/2014/01/the-itsybitsy-picture-bingo-challenge.html.